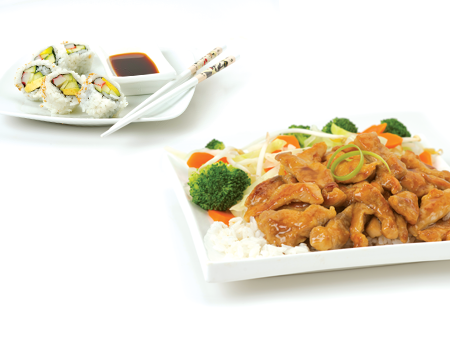 Served with fresh mixed vegetables plus your choice of fried rice or noodles. 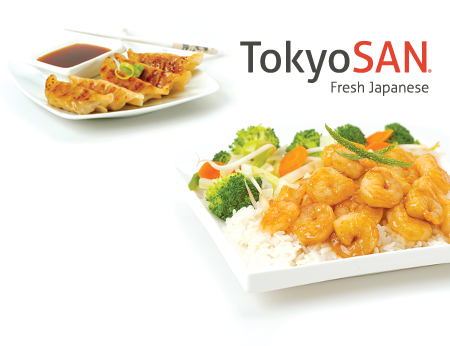 TokyoSan provides freshly marinated Teriyaki and made to order Sushi that will allow your mouth to transcend from the ordinary and verge into the extraordinary. Designed to encourage interaction between you and our friendly staff, feel free to customize your next meal with endless possibilities. Let our expert staff take your order and prepared every meal right in front of your eyes. Yummy! TokyoSAN offers excellent benefits and employee discounts, competitive salaries, personal development programs and an exciting work environment. We are constantly seeking extraordinary individuals with a passion for hospitality to join our ever-expanding team. If you are looking for an exciting opportunity to grow within our organization, please send your resume to careers@Tokyo-SAN.com. Please note: Due to the high volume of applicants, regretfully we are often only able to respond directly to those applicants who have been selected for interviews.